I’ve used a range of different Jurlique products over the past few years from their amazing hand creams to their Rosewater spray which everyone raves about (it really is as amazing as everyone says). 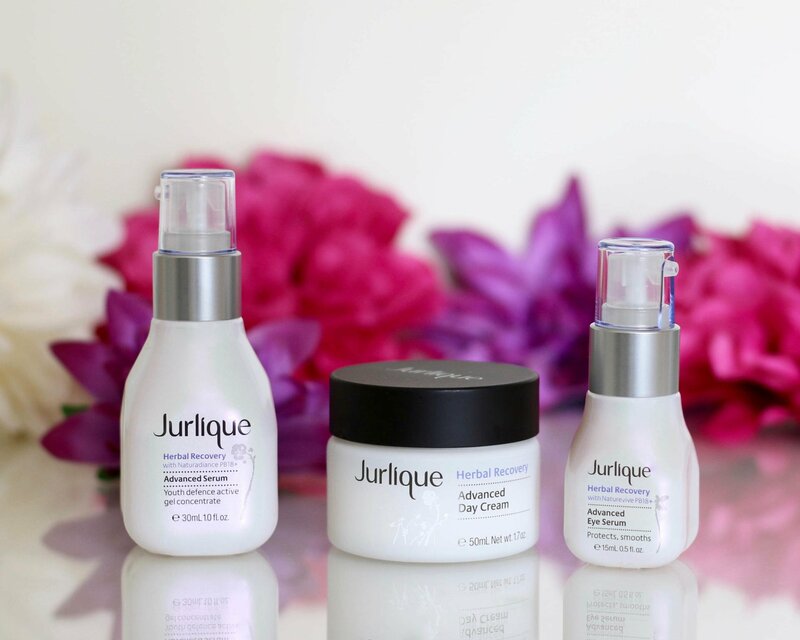 As I’m now in my mid-twenties I’ve been particularly interested in anti-ageing products and Jurlique’s Herbal Recovery range is designed to minimise dullness and protect the skin from the first signs of ageing. 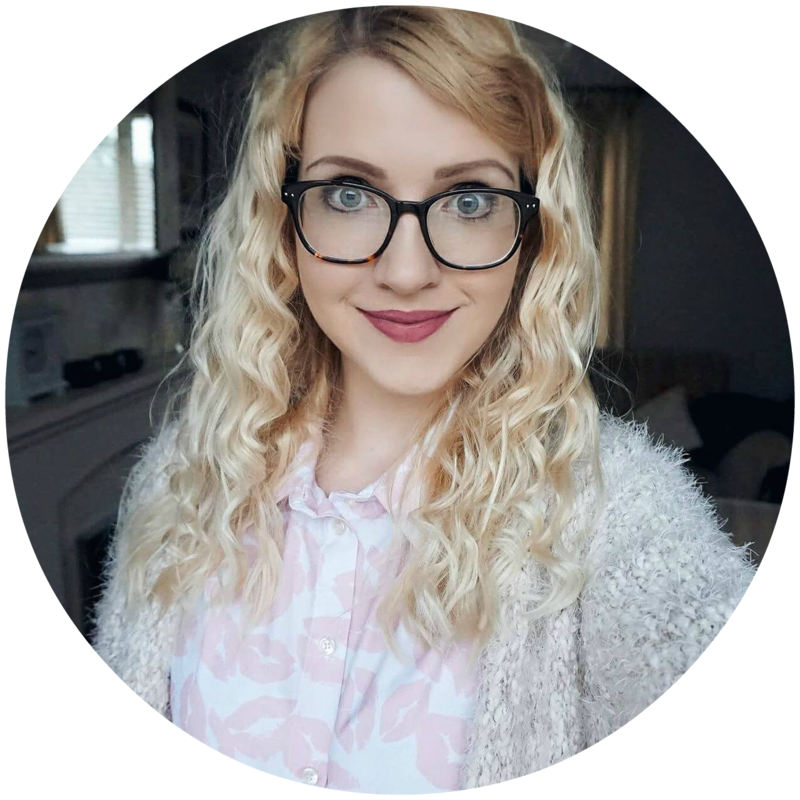 The range is focused around 18 powerful plant botanicals which form active and potent products, however there are a lot of other amazing ingredients which are included. This range is just what my skin needed at the moment and I’m excited to share them with you. 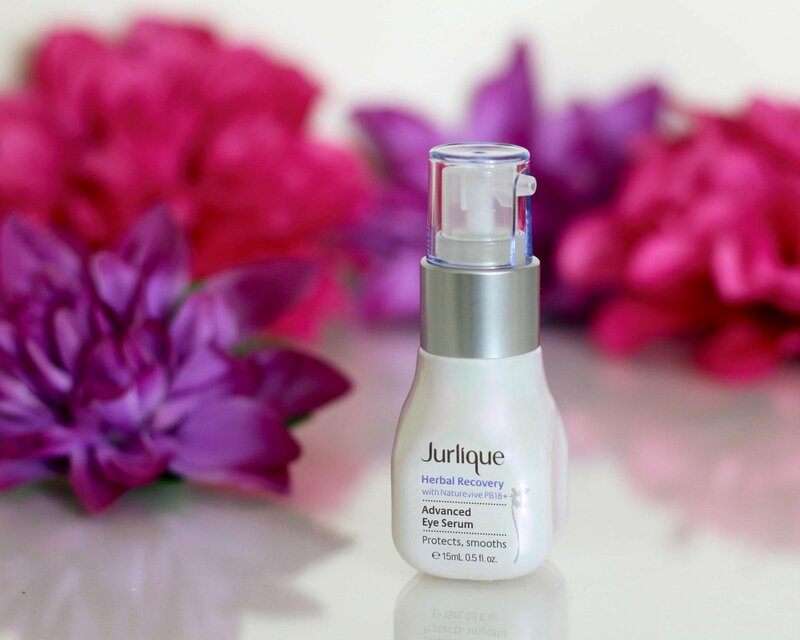 The Jurlique Herbal Recovery Advanced Serum is designed to deeply hydrate and protect the skin, as well as reduce the appearance of fine lines. It’s lightweight and feels smooth as it goes onto the skin and is filled with botanicals and active ingredients. I live in a busy city and this protects the skin from environmental aggressors which is great as it also leaves the skin looking revitalised and smooth. 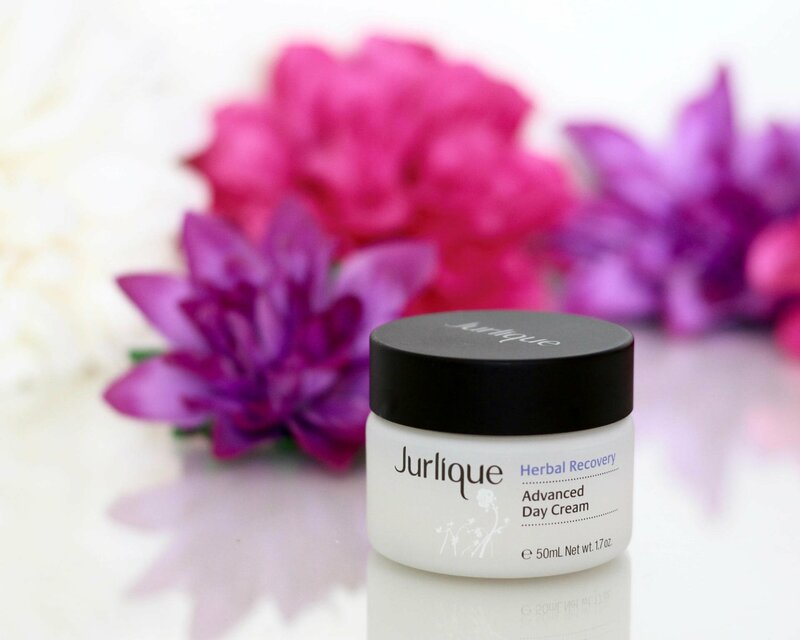 The Herbal Recovery Advanced Day Cream is a new product from Jurlique which was released earlier this month and is the newest product to the range. It’s an anti-ageing moisturiser which smells amazing and targets dull skin and fine lines. As the texture is quite rich I’ve been using a small amount after the serum and it sinks into the skin easily, there’s no greasiness or tackiness to the skin afterwards. The main ingredient is Japanese Cedar Bud which helps to keep the skin looking and feeling both firm and vibrant however it also contains lots of other lovely ingredients such as Liquorice Roof Extract and Lavender. When you open the lid you can instantly smell the amazing scent of Rose blended with Lavender, a very refreshing but soothing fragrance. I normally use eye creams and not serums so I was interested in trying out the Herbal Recovery Advanced Eye Serum. It’s full of antioxidants which help to reduce the signs of dryness and fatigue as well as smoothing the appearance of fine lines and wrinkles with it’s high level of antioxidants. The consistency is light and a gel texture which I preferred in comparison to creams as it feels more light and fresh. Around my eyes I do have some fine lines so that’s why I’ve been enjoying using this so much, prevention is better than cure! 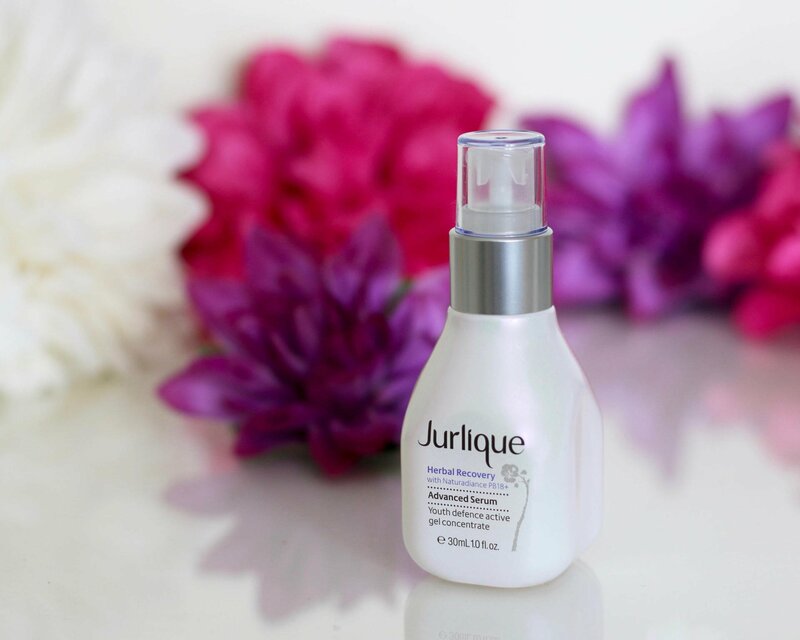 Have you tried any products from Jurlique before? I’ve never heard of these before, they should like a must try!